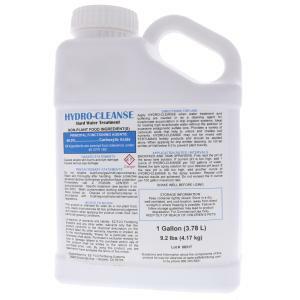 Hydro-Cleanse by Ez-Flo is a drip emitter cleaner & pH reduction product. This organic acid is ideal for treating calcium build-up in lines and drip emitters and treat hard water and lower soil pH levels. Can be applied all year. Sold in 1 gallon container. Coverage rate is 125,000 square feet/gallon.